travelswithkathleen: Who's buried in Grant's Tomb? This past weekend was Open House New York, the annual celebration of design and architecture. I missed last year because I was in Iceland, and though most of the places I really wanted to see required winning the reservation lottery, and I didn't, I saw several interesting buildings over the course of the weekend. 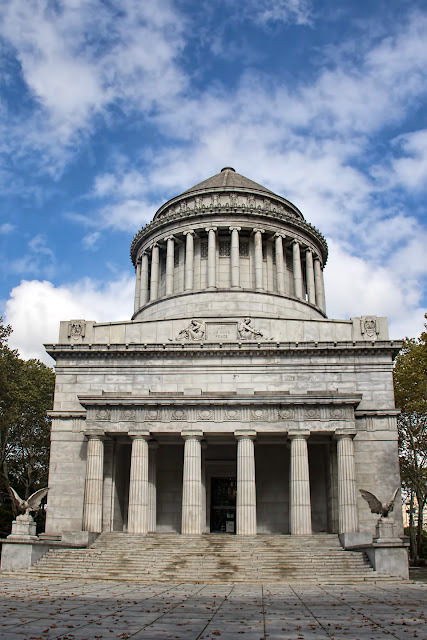 These are pictures from Grant's Tomb -- or more formally, the General Grant National Memorial -- which overlooks the Hudson River at 122nd Street. 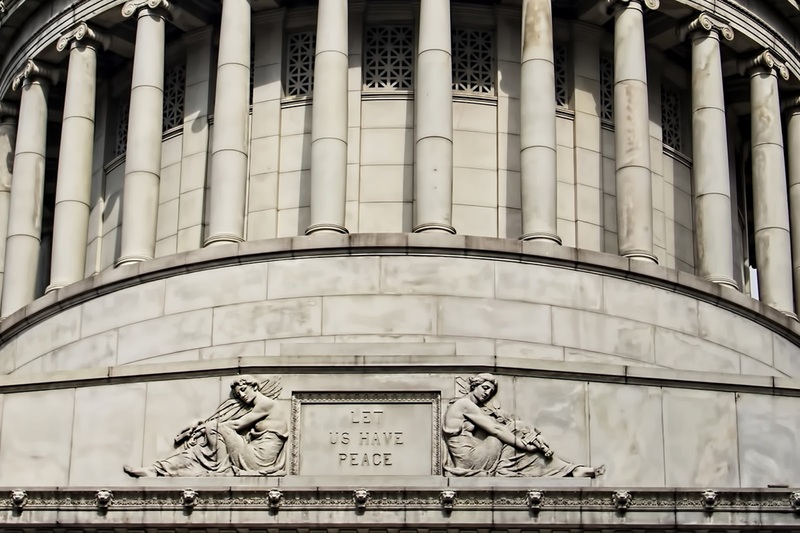 Despite having spent most of my adult life living in Manhattan, the only times I'd ever seen it had been through the windows of a car or a bus on my way to someplace else. But the Book Review had Bill Clinton's review of Ron Chernow's new biography of Grant on the front page this weekend, and I realized that I didn't actually know that much about him. All I remembered from high school history were the scandals and corruption -- none of them involving Grant himself. I didn't remember, or never knew, that he fought to get the Fifteenth Amendment passed, guaranteeing the right to vote regardless of race, and created the Justice Department to enforce Federal law in the South and oppose the Ku Klux Klan. So I hopped on the M5 and went uptown to pay my respects.